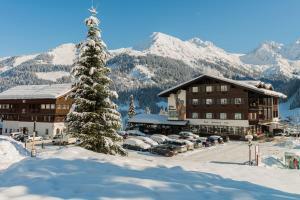 Hotel Steinbock is located at the Jedermann Ski Lift and can be reached on skis in good snow conditions. The property has spa facilities with 3 saunas, a steam bath, an infra-red cabin, a fog shower and a massage and relaxation room. All units at Hotel Steinbock are spacious and have a balcony, a bathroom, a seating area, a desk and satellite TV. A breakfast buffet featuring local produce is served each morning, and half board is available. The property has an à-la-carte restaurant that serves local and international cuisine. A bowling alley and a children’s play area can be found in the neighbouring building. Mittelberg town centre is a 10-minute walk away. Shops, restaurants, horse riding stables, illuminated ski slopes and sled runs can be found there. A public swimming pool can be visited in Ritzlern, a 10-minute drive away. A bus stops in front of the property and continues to the Oberstdorf, a 30-minute drive away. A golf course and summer sled run can be visited there. The purchase of ski passes is possible on site and a ski equipment rental and a ski school can be found opposite the property. Discounts apply for guests of the Hotel Steinbock. A ski storage room, a garden and sun terrace with garden furniture and a Kneipp basin are also on site. Private parking can be used free of charge, and free WiFi is available in public areas for 24 hours. An indoor play area, a children’s playground with a climbing frame and play house, table tennis, badminton, a volleyball court, pool tables, a dart board and basketball facilities can be used at the partner house opposite Hotel Steinbock. When would you like to stay at Hotel Steinbock ? These rooms are very spacious and have a balcony with mountain views. The units have a bathroom, seating area, desk and satellite TV.Please note that the room rate is based on 2 guests. 1 extra bed is available in some rooms. (see Children and extra beds policy). These rooms are very spacious and have a balcony with mountain views. The units have a bathroom, seating area, sofa bed, desk and satellite TV.Please note that the room rate is based on 3 guests. 1 extra bed is available in some rooms. (see Children and extra beds policy). These rooms are very spacious and have a balcony with mountain views. The units have a bathroom, seating area, sofa bed, desk and satellite TV.Please note that the room rate is based on 2 guests. 2 extra beds are available in some rooms. (see Children and extra beds policy). 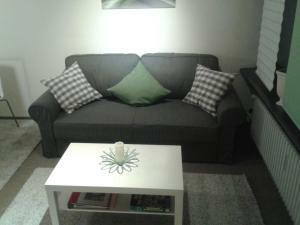 This room type offers a bathroom and a satellite TV.No extra beds are available in this unit. This single room has a bathrobe, seating area and satellite TV. Each day we'll check prices and send you an email for your selected dates at Hotel Steinbock. If you don't have specific dates but would like to check prices for say next weekend or say next month we can check the price too. Click to write a review and share your experience of Hotel Steinbock with other travellers.